Just because Thanksgiving has passed doesn't mean that pumpkin season is over, at least not in my book. I recently had some canned pumpkin leftover from making pumpkin scones and was considering how to use it up. It wasn't a large quantity, which worked out perfectly because these particular pumpkin waffles from Sarabeth's only require 1/3 cup, which is exactly what I had on hand. I proudly own both of Sarabeth's cookbooks, and her most recent release Sarabeth's Good Morning Cookbook in particular features tons of great breakfast recipes. 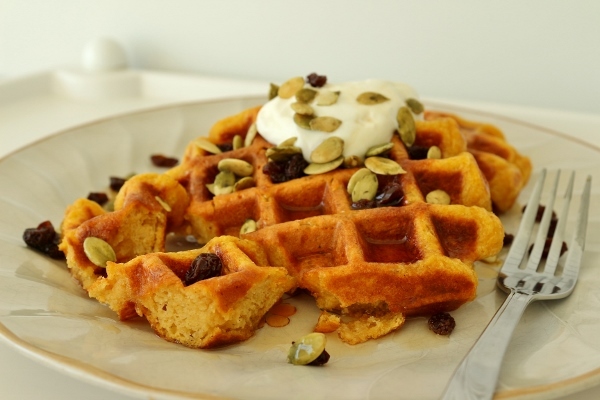 She has taken the recipe for her famous pumpkin muffins and transformed it to make ethereal, seasonal waffles that put other pumpkin waffles to shame. The recipe is a tad unusual in that it begins almost like scones by actually cutting the butter into the dry ingredients, whereas most waffles recipes will use melted butter or oil for easy mixing. Sarabeth uses a combination of whole milk and cream, which undoubtedly yields a rich texture, but I had a ton of leftover buttermilk hanging out in my fridge, so I substituted buttermilk for both the milk and cream. 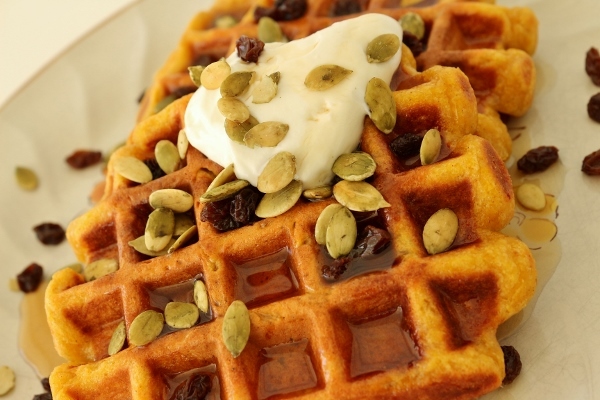 The result is a tangy, tender pumpkin waffle with a hint of aromatic spices. 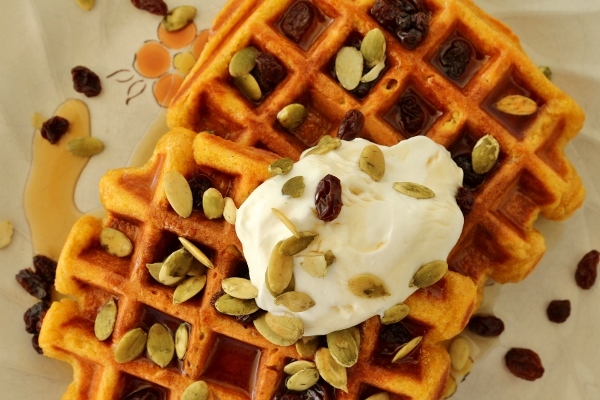 A dollop of sour cream atop the waffles adds a bit more tang, while a drizzle of pure maple syrup offers a hint of sweetness. 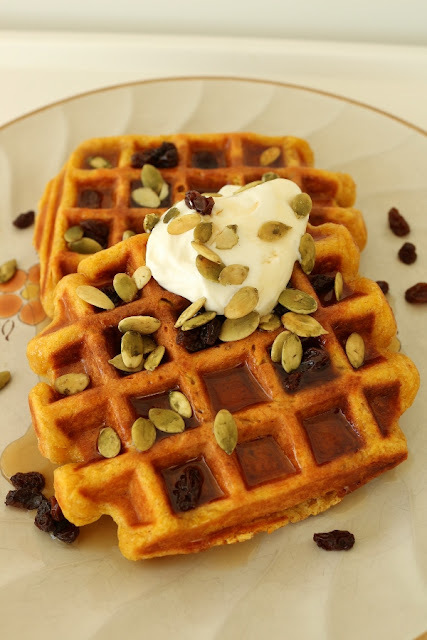 Raisins and pepitas (pumpkin seeds) round out the garnishes by adding some great texture to the soft and fluffy pale orange waffles. Regardless, these waffles are out of this world. They are super impressive and would be perfect for a holiday brunch, and yet they are incredibly easy to prepare. I have a Belgian-style waffle maker (bigger pockets for syrup!) that yields small rectangular waffles. 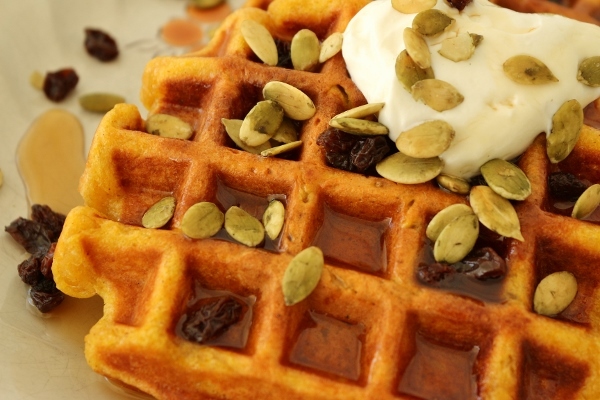 You can also make this recipe with a large round waffle maker. 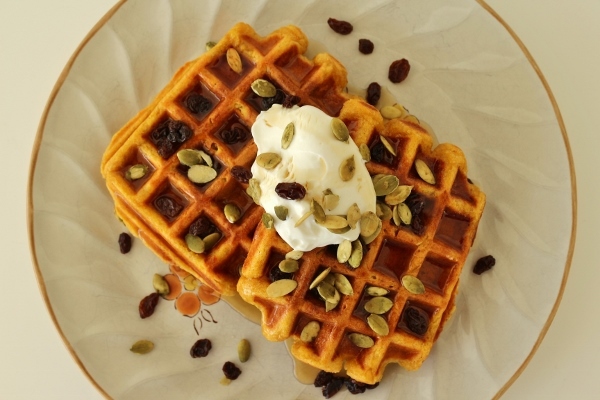 I yielded 10 small waffles with this recipe--about 2 per serving is a good number in my opinion. 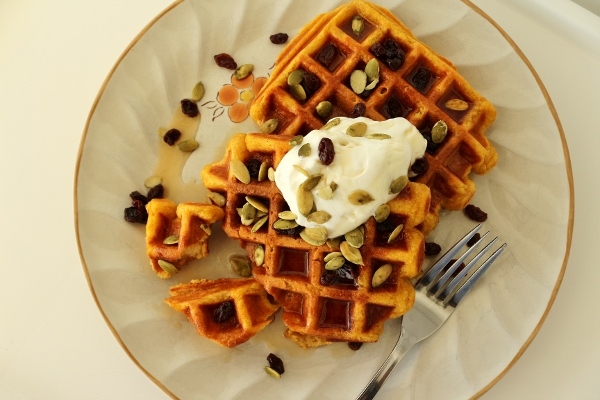 You'd yield a few number of larger waffles if making round ones. Heat a waffle iron according to the manufacturer's directions. In a medium bowl, whisk the milk, cream, pumpkin, eggs, and vanilla until combined. Pour into the well and fold with the whisk just until the batter is combined. 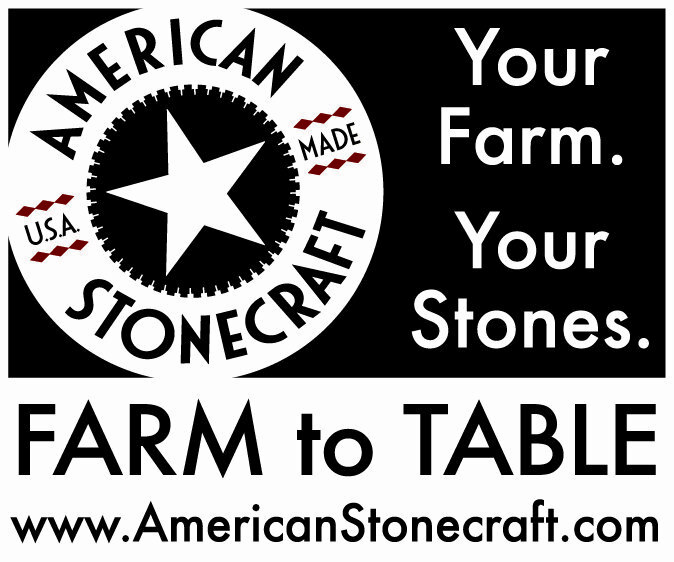 Don't worry about lumps. Lightly grease the waffle iron grids with clarified butter. 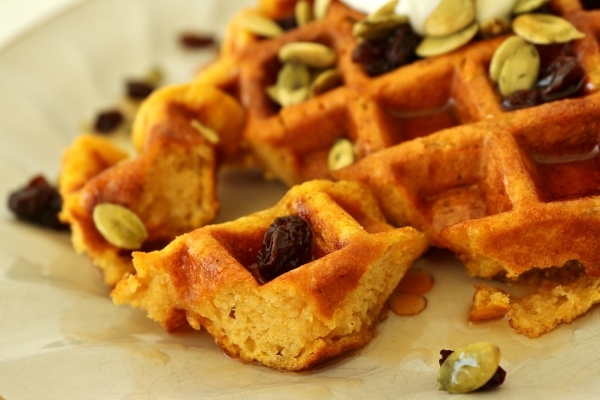 Using a dry measuring cup or ice-cream scoop, place the correct amount of batter in the center of the iron's quadrants (see waffle iron manufacturer's directions). Close the lid and bake until the waffle is crisp and golden brown, 4 to 6 minutes.